So, it’s the time of year when we are supposed to be thankful for all of our blessings and show our gratitude by eating enough turkey to put us into a food coma until it’s time to hit the Black Friday sales, right? Well, not necessarily. While we’re all thankful for our families, our homes, our jobs, etc., have you ever thought about all those little daily “annoyances” that are really blessings in disguise? I know I usually don’t because I’m too busy complaining about them. Lately, I’m trying to not see them as “annoyances”, but rather moments and so-called “little things” that I should be thankful for each day. I’m thankful for my daughter’s incessant pleas for me to play school with her. I should be glad she actually likes to learn. I’m thankful for all the dust bunnies and loads of laundry. There are so many people who don’t have a house to clean or clothes to put on their backs. I’m thankful for cooking dinner, although I’m not the best chef. There are people who don’t know where their next meal is going to come from. I’m thankful for my children running around the house and jumping on the furniture. There are children who are too sick and don’t have the energy to even open their eyes. I’m thankful for the mess of toys that are constantly around my house. There are parents who can’t even afford one toy for their child, let alone several. I’m thankful that my children call “mommy” for every little thing. There are so many women who struggle to have kids. I’m thankful that my husband works so much. There are so many lazy husbands out there who don’t support their families. I’m thankful for the never ending stream of questions my children bombard me with every day. There are some children who could really care less to ask just one question. I’m thankful for my kids’ visits to my room in the middle of the night. The days are going to come when I’ll have to fight them for just one hug. I’m thankful for all my failures and doors that have been shut in my face. They’ve only taught me to fight harder and prevail. I could really go on and on, but I think you all get the point. These are just a few…and I mean a few, of the things I complain about pretty frequently. It’s sad to admit, but it’s the truth. These are all blessings in disguise. Things to truly be grateful for. I’m sure if you think about it, you have a list like this too. I think we are too quick to complain and too slow to be give thanks. It’s Monday and I have another great blogger to introduce you to this week. I’m going to let her just take it away…. Hello! I am Anne from Just Only Home and I want to say a big “Thank You!” to Kristina for having me as a guest here on her wonderful blog. I am a wife and mother to 4 wonderful girls, bonus mama to 3 more. I love being a stay at home mom and making life beautiful for my family. I love cooking and fun activities with my children. I feel one of my greatest responsibilities is using our limited budget to its fullest potential. This is my career, making the most of what my husband makes. Since it is Monday I thought I would share my take on “Mom Monday”. I know we never REALLY get a day off… but I think it’s important to have a day where self expectations are lowered. I know that for me personally weekends are everyone else’s day off in my home. This means busy busy busy for Mama. There is always the expectation for fun and getting things done that my family members aren’t able to do on their busy week days, and as the center of the family it is often my job to facilitate that. Bu Monday morning I am ready for a vacation! I am a list maker and my daily schedule is full and busy. 5Am – wake up so I can actually have a shower and some bathroom time before the teenagers take over. Make the bed, pick up the bedroom, and bring the laundry down. 6:30 – Time to wake up my 4 gals. Get them sitting up to the table with breakfast and pack lunches and backpacks. 8Am – Now time to run any errands that need running and get supper into the crock pot. 9Am – Noon – Blogging time! Writing, responding to emails, and finding out what’s new on social media. Plus I need to make sure to visit a few of my favorite bloggers! Noon – Lunchtime for me, the little one, and my home schooling high schooler. 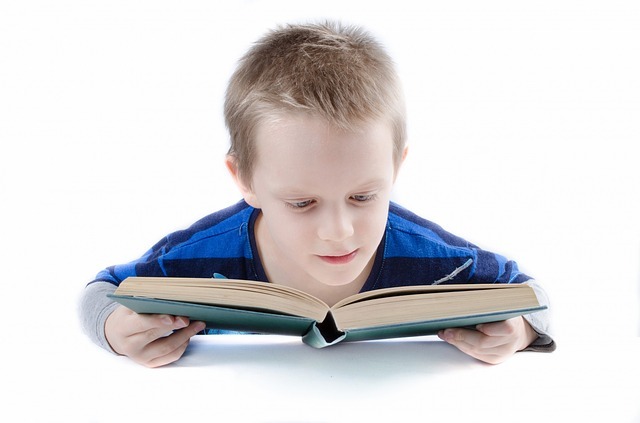 12:30-3Pm – Time for helping out with home schooling and doing personal projects/planning projects for Just Only Home. 3-5Pm – Kiddos need picking up from school, whatever running they need to do, and then help with homework or maybe a fun activity with the little ones. 7PM – Bathing, reading to, and tucking in the little ones. 8Pm – Fold and put away that laundry that I washed today and making sure I have the dishwasher loaded and ready to empty by morning and a load of laundry sitting in the washer waiting to start in the morning. 10PM – To bed! Must be rested to start all over tomorrow! And THAT is on a day with no appointments or events! If you think of everything we have to accomplish as moms of COURSE we need to take a breather day. Now for my Monday schedule. 6:30Am – Sleep in a bit and throw on the yoga pants and a pony tail, wake the kiddos and have a quick breakfast and get ready. 7:30Am – get the kiddos to school by 8. No errands or appointments get made on Mondays so I am free to get home and start drinking that pot of coffee I have made for myself. 8Am – Noon – Doing what I want to do! I’ll probably still check my emails and browse some blogs that I have been wanting to, or find some new ones. Play around on Pinterest or visit my favorite CafeMom groups; Make Life Beautiful and Cuties with Cloth Booties. That is where mommy’s friends live! Noon – Light lunch for us, leftovers or sandwiches. Ask high schooling home schooler if she needs any assistance. Since she knows it’s Mom Monday she will usually decline, having planned being self-taught on Mondays into her schedule. 1-3Pm – Hmmm, time for maybe a snooze and a snuggle with my 4-year-old? A movie we can watch together? Maybe a little more computer time? Oooh, my book! Yes, please. 3-7Pm – Pick up the kiddos from school, we try not to plan much on Mondays as the into to the week so it’s home we go. Do a little home work help and chillin’ with my gals, maybe Uno, maybe a movie. My high schooling home schooler takes Monday night dinners for her cooking class so no worries about what to eat, that has been planned in advance in our Meal Plan. All the kids and hubby pitch in and clean up after supper as a thanks for my doing it the rest of the week. They know I need a Mom Monday! 7PM – Sometimes hubby or one of the teenagers takes over bath time but I of course still need to be a part of tucking in. 8-10PM – The rest of the night is for reading or hanging out with hubby and my big girls. 10PM – Off to bed because it’s back to the race tomorrow! I feel blessed to have a family that supports my day off. I also LOVE being able to be in control of my own schedule. Do you have a day that you take for yourself? What girl doesn’t like jewelry, right? So when I was asked to try out a new pair of pearl earrings from Pearl & Clasp, how could I say no? With that said, I have to admit I don’t wear pearls on a daily basis. My position as Household CEO really doesn’t require pearls.Nevertheless, I wore them while in the trenches of motherhood. For someone who usually wears a pair of silver hoops, the button pearl earrings were a nice change. The earrings themselves are so light that you don’t even feel like you’re wearing anything at all. Also, the backs are extremely durable so you don’t have to worry about losing an earring. That’s a big deal when you’re around kids all day and just about anything can and does happen. The black pearls also pretty much go with anything, making them a must have item for your jewelry box. They are also a great accessory, especially with the holidays coming up. I’m looking forward to wearing these earrings in the future, perhaps for a little night out? * I was compensated with a pair of earrings to complete this review. After I had a child, I was labeled a “mom”. When I worked, I was a “working mom” or a “WAHM” as all the cool kids call it. Now that I don’t work out of the home, I’m a “stay-at-home mom”, otherwise known as a “SAHM”. As I was recently writing another post about being a mom who doesn’t work outside the home, a little light bulb went on in my head. I’m not a stay-at-home mom or a SAHM. I am a “Household CEO”. I effectively lead “the organization”, A.K.A. my family, so that everyone can be as successful as possible, myself included. I coordinate morning schedules so that everyone is up, fed, and dressed in time for school or any other place we need to go. I strategically plan activities so that my children are well-rounded and educated, but not exhausted. I try to create unique menus for breakfast, lunch, and dinner in hopes that something healthy lands on their plates. “Try” being the operative word here. I interact with the CFO of the house to make sure I adhere to a budget. This means couponing and shopping methodically. Many times this also entails actually creating a budget. By the way, this is a talent and it’s not being “cheap”. It’s being economical and smart. I teach my children the basics of life as well as educate them to supplement what they are learning in school. Sometimes, I need to include the input of the Board of Directors (A.K.A my children). This is only done in dire situations. Sometimes the Board does not share the same vision of the organization. This is highly annoying. I also try to instill values of the organization so that all members can be respectful and thrive. Whew…I’m exhausted just making this list! I know there are so many other things I do, as do other woman who do not work outside of the home. I also understand that many mothers who do work outside the home do many, if not all of these things too. I just feel that the”Household CEOs” are more often looked down upon because we are not bringing home a weekly paycheck. Many think we are uneducated and couldn’t possibly get a “real” job. Others think we are members of some elite group that lies around all day watching TV or getting our nails done. Both of these scenarios couldn’t be more unrealistic. If you stay at home to raise your children you should feel empowered, not ashamed. Many women who have taken time off from their careers to solely raise their children fear the response they will receive when and if they return to the working world. What will prospective employers think about a three year professional gap? Are they going to think we were lazy? Should we put down that we were stay-at-home moms? Will we be passed over if we do? What about if we put down “Household CEO”? I’m sure many employers would laugh. Others might think of it as highly creative. When it’s time to revamp my résumé, I think I’m opting for “Household CEO”. If someone finds it funny or stupid, then they’re obviously someone who doesn’t deserve my talents. I’m sure many others will see the skills used as a “Household CEO” are extremely useful in the working world. On a scale of one to ten, how annoying is it to have a sales person try to hose you down with the latest fragrance as you enter a store? If you ask me, it’s a solid ten. Half the time you smell like you just bathed in whatever they are trying to sell you. 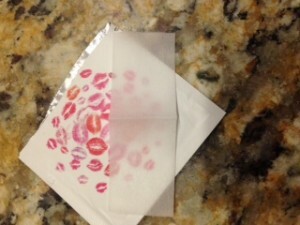 That’s why I was excited to recently try out a product that leaves you smelling great without all of that drama. Have you heard of Pinrose? I honestly had not until a couple of weeks ago. 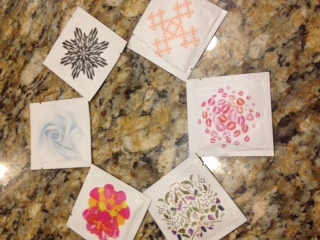 Pinrose is a great company that offers perfume scents in the convenience of little individual towelettes besides bottles of your favorite fragrance. You just apply and wait a mere fifteen seconds for it to dry. You end up smelling great without smelling like you poured an entire bottle of perfume over your body. What’s even better is that you can take a quick online quiz to find out which scents suit you best. My quiz showed Merry Maker, Renegade Starlet and Sugar Bandit were my go to scents. I tried all three as well as the others in my satchel. I have to say I liked my three the best with Renegade Starlet leading the pack. I would definitely recommend this product as one to try out yourself or give as a gift if Santa is shopping around! *Disclosure: I did receive complimentary Pinrose products to complete this review. 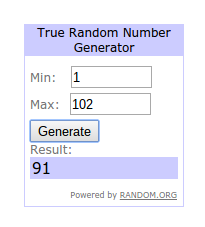 Giveaway Hosted by It’s a Mom Thing Reviews and More! Have you heard about Lalaloopsy’s World’s Largest PJ Party?! Lalaloopsy is attempting to break the official Guinness World Record for most slumber party participants in multiple locations! The current record is 34,000 girls and they are hoping that with everyone’s help they can beat that record! The Mommy Rundown is helping to get the word out! This super fun party will be held on November 15th from 7-10 pm EST! They will be live tweeting (Twitter.com/Lalaloopsy) and Facebook posting (Facebook.com/Lalaloopsy) directly from the event and you can join in with hashtag #LalaPJParty ! Tweeting with this hashtag you can join in for the fun activities, answer trivia, and have a chance to win prizes! 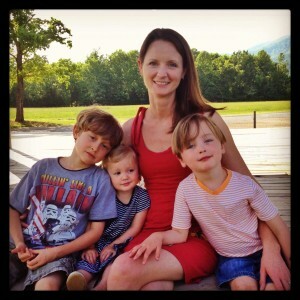 Welcome to this week’s Monday’s Mommas feature. 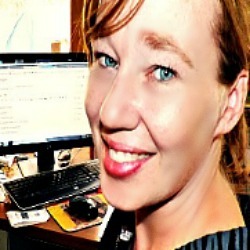 I’d like to introduce you to Theresa Pickett, owner of Theresa’s Review Blog. Theresa is a writer and blogger with an M.Ed in Elementary Education from Vanderbilt. She is a mom to two girls, Samantha and Georgiana. In this guest post, Theresa shares some tips to get your baby (and the rest of your house) a good night’s sleep. This is a topic we can all relate to! Taking care of an infant is exciting and overwhelming at the same time. Developing a normal sleep schedule is important for babies as they grow. As a parent, I remember being terrified that if my newborn baby fell asleep without me watching her, something might happen to her. Parenting has taught me some tips for getting babies to sleep well. Follow some of my top 10 tips for getting babies to sleep. Splurge for quality. Get a crib mattress that provides a healthy, comfortable sleep environment. Some mattress companies, such as Moonlight Slumber, specialize in quality instead of affordability. My older daughter sleeps well and often rests on her bed at night to read to herself because of the luxurious foam interior. The mattress goes through the most extensive testing program on the market, which covers air quality, product performance, and material contents. According to Simply Psychology, object permanence develops when babies are around 8 months, which is a critical time in the development of sleep routines. Create a bedtime routine of sleeping in the crib every night. If your child stays in your bed through this phase, you will end up with a preschooler who continues to sleep in your bed. You will sleep much better if you put your baby to bed in the crib consistently after she is 6 months old. Help your baby feel calm and loved. Use your body language to communicate that rest time is a relaxing experience. Pat your baby on her back. Give your baby light, gentle caresses. Baby back massages can help your baby go to sleep. As your baby relaxes, she will get into a comfortable resting position and start sleeping in no time. Baths make babies sleepy. Tepid warm water can help lull your baby into a rested state of mind. Wash your baby with high quality products, as untested products can create irritations. As a mom, I use Noodle and Boo products, which are FDA-approved, hypoallergenic, clinically tested, pediatrician tested, and ideal for babies with sensitive skin or eczema. When I previously used untested products, I always noticed that my children didn’t sleep as well. Include a limited amount of toys in the bath. Make sure that bath time doesn’t get mistaken for play time. Keep your baby at a comfortable temperature throughout the night. Think hard about where you set up your crib. Setting up a crib near a door or window will make the baby cold at night. Dress your baby in one more layer than you wear. Feel your baby’s cheeks to determine whether she is hot or cold. Babies can overheat if swaddled with too many layers. Swaddling works well for infants, but as babies get older and don’t want to stay in the swaddle you can use fleece sleep-sacks for winter and light cotton nightgowns for summer. Avoid using blankets until your baby is a year old. If you are nursing, your baby could have a hard time getting to sleep if your diet is not baby friendly. Avoid spicy foods, which can cause an upset stomach. Reduce your intake of caffeine. Quit caffeine temporarily to help get your baby’s sleep on schedule. Late night hunger can keep your baby awake. When you aren’t sure what might be wrong at night, try feeding your baby. Nursing can comfort babies and give them warmth, but avoid nursing your baby to sleep, which may interrupt the sleep routine. Burp your baby well. A baby that needs to burp feels uncomfortable and stays awake. Babies get fussy when their diaper feels wet. If your baby is fed and has trouble sleeping, give a new diaper to help provide comfort. Sing a lullaby to put your baby to sleep. Babies love hearing their parent’s voice. Using a lullaby CD can work too. If you use a children’s CD, choose relaxing songs that aren’t up-tempo. Let your baby fuss just for a few minutes. Rushing to your baby immediately when she fusses can make you sleep deprived and anxious. As your baby learns her bedtime routine, she will more easily fall to sleep without your help. Fussing it out for five minutes is not a big deal as sometimes mom needs sleep and rest too. Check that your baby is fed well and has a clean diaper before you let her fuss. To learn more about Theresa’s parenting tips, visit her blog at Theresa’s Reviews. I have previously received free items to help inform my writing, but not for the purpose of writing this article. Hey everyone! 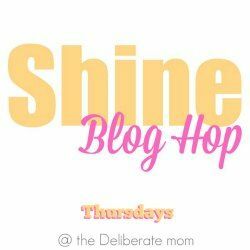 This week I’m co-hosting The Shine Blog Hop with Jennifer from The Deliberate Mom . 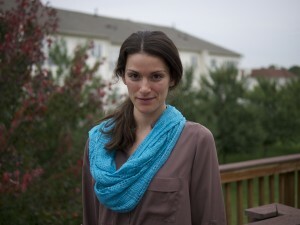 She has a fascinating blog about her stories of parenting, homeschooling, and mommy life in general. I’m very excited to be working with her this week to explore other blogs and help introduce you to them all. Sit, back, relax and shine on! 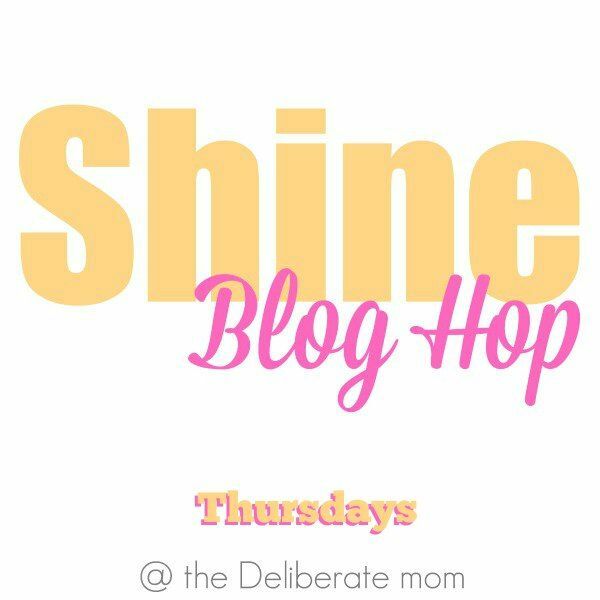 Welcome to the twenty-third edition of the SHINE Blog Hop! I’m continually impressed by the creativity, diversity, and quality of the posts that have been shared here every week… so thank you for stopping by to SHINE! I would like to begin by extending a warm welcome to this week’s co-host Kristina, from The Mommy Rundown. Kristina’s blog is full of mommy stuff and I often find myself chuckling or nodding along with her posts. Please take a moment to visit Kristina and/or follow her on her social media sites. It’s Monday and that means time to meet this week’s Monday’s Momma. 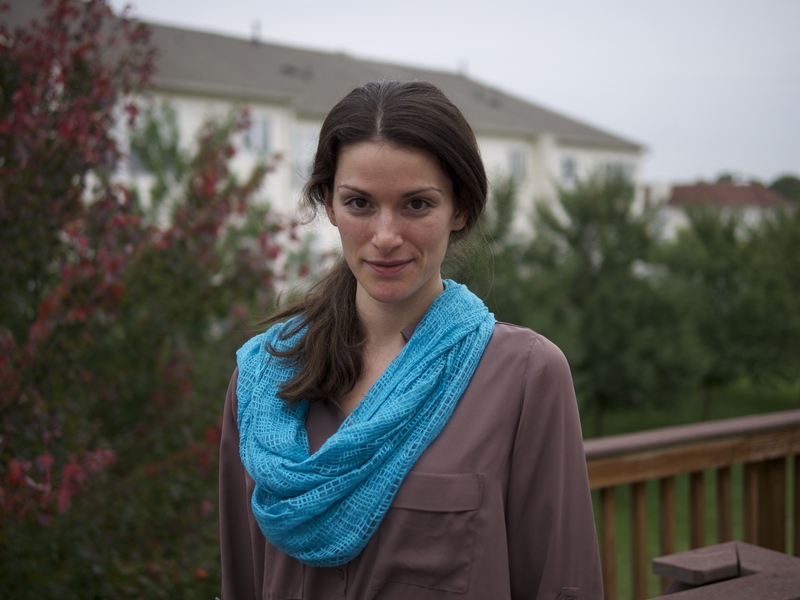 Sarah Harris from Live, Laugh, and Learn joins us this week. Though she received an undergraduate degree in psychology and a Master’s in teaching, Sarah’s real education began seven years ago when she became a mom. That’s also when you can pinpoint the sharp increase in her coffee consumption. She currently spends her days building with Legos, fashioning super hero capes and Elsa gowns out of dish towels and safety pins, and dancing around the kitchen like only her kids are watching. You can find her on Twitter quoting her kids (@skh4102) and on Instagram capturing their every adorable move (@sarah.livelaughlearn). Check out her guest post here! Evan is a Lego nut. Well, a Lego seed, because…you know…nut allergy. Anyway, he’s obsessed. And I love this obsession. I love Legos because they’re the best toy ever. But beyond that, I love that there are “story” sets of Legos, like Lego Ninjago, Star Wars, Harry Potter, and Lord of the Rings. I love that, through playing with Legos, reading Lego encyclopedias and books, and watching Lego animation on YouTube, Evan is gaining an awareness of some of these great stories and the characters in them. Because of Legos, Evan can’t wait to read The Hobbit and the Harry Potter series. I love that. And I love that he incorporates his own story-telling into his play with Legos…. …until he reaches a point in his story line that calls for a very specific, very hard-to-find Lego mini-figure that he found in one of his many “Lego catalogs.” And, because he’s savvy enough to know that the internet can make just about anything “happen,” he knows that all he needs to do is “type the name into the search bar, Daddy, you’ll find it!” And he does. Every time. Ebay is like a purgatory for all the rare and hard-to-find Lego mini-figures. Some, like random mini-figure-holding-a-briefcase will stay there for all eternity. But others, like the Lego Star Wars Elite Clone Storm Trooper, will wait patiently, knowing that someday, some desperate parent will shell out four times the actual retail value (plus shipping!) on the tiny bit of plastic to help her son finish Chapter 12 of Series 2 in Evan’s Star Wars Battle Story. Well, not this mom, damn it. I almost did. I almost spent ten dollars, TEN DOLLARS, on this mini-figure because I just love Legos, okay? But I didn’t. Because this will not be the only time that Evan reaches a point in his storyline which demands the introduction of a new figure or set. 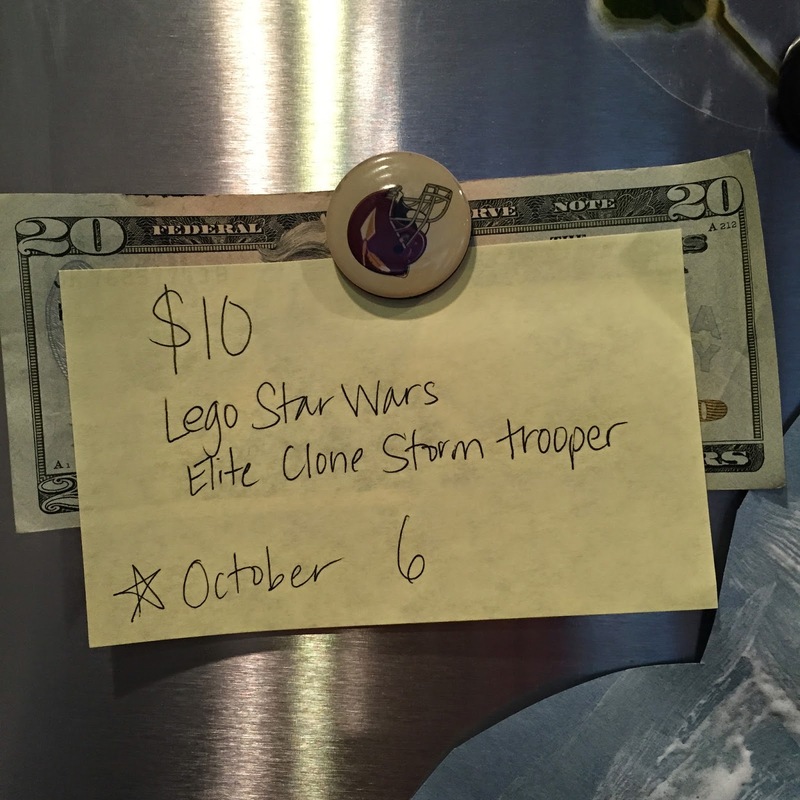 We told Evan that he could buy this Elite Clone Storm Trooper, but that he’d have to use his own money. Our boys earn an allowance (and Molly will, too, once she realizes what we’re up to) of $2 each week. Our goal for providing allowance is for precisely this purpose, so that they will have to save up for and buy their own “extras.” However, allowing Evan to decide he “needed” this mini-figure and, that very afternoon, spend five weeks worth of his allowance on it seemed rash. Yes, technically, it’s his money and he should be allowed to do with it what he pleases…but the other goal of providing an allowance is to teach money-management skills, including delayed gratification. We talked about how, when we want or need to make a big purchase (our car, for instance), we don’t rush out right away and buy it. First, we research which cars we can afford and which ones of those make the most sense for our family. When we’ve made a decision, we put the money we will need to spend on it aside (metaphorically) and think about it for a few days. The money is right there, reserved for the car we want to buy, but we want to make sure we are still happy with our decision after the excitement of finding a new “want” has worn off. Then, when we’re sure, we make the purchase. So Evan went upstairs and took “enough” money out of his wallet. (The fact that he was willing to break his beloved $20 bill was indicative to me of his seriousness about this purchase.) We set it aside (on the fridge) and wrote down what he wanted and a date, five days from the day he decided he needed it. Each time, he thought about it and decided that no, he really wanted the Elite Clone Storm Trooper. Finally, on October 6, he decided he was still happy with his choice and we made the purchase. We gave him change for his $20 (the official buying price came in lower than expected at $9.79 including shipping…a lucky bonus to our “waiting period” policy) and now we just wait for it to arrive on our doorstep.